SEO - Traffic - Engagement - List Building - Autoresponder = Long Term Traffic & Profits! This Goes Beyond The Obvious..
Abhi creates solid products and there are a few on JVzoo that you can bank on to be consistent with their products, maintain them, and put genuine effort into making them top quality. Just take a look at Adsvisor as an example...Brilliant tool, years old now, kept up to date and well maintained. I have seen so many products built just for launch and deservedly bomb or have high refund rates. You will NOT find that from Abhi’s tools. The Marketing Flow Possibilities With LIVEreel Is What Got My Instant Attention.. So why is it huge, what does it mean for us? Then this is a total game changer! 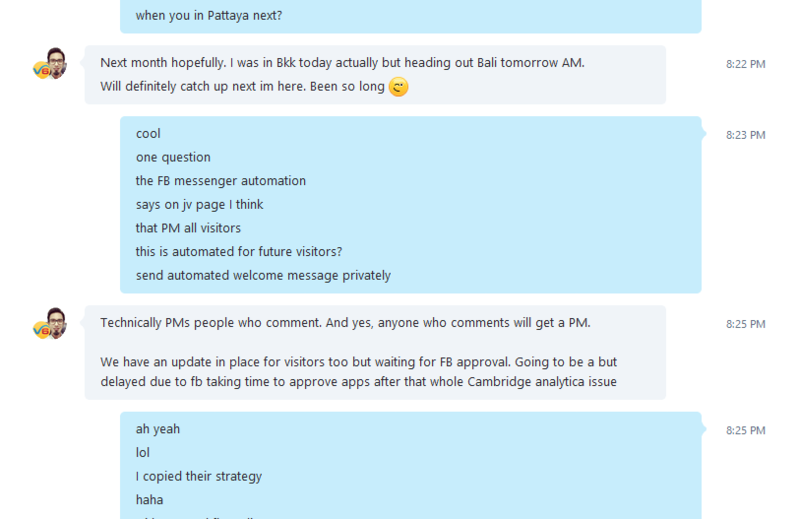 As Well As Building A FB messenger list on complete Autopilot. We will set up some campaigns (in Bulk). As always I started to dig deeper and brainstored some more ideas. These will be released frok time to time in little report style posts within LeadKit Pro. Great question and I am so glad that you asked! These can all be done with the above strategy, but i have tweaked it for individually each of these types of campaigns to make it 10 x more effective. It’s safely tucked away in a google doc for to pull out and implement them later, one by one...as and when i get time. Remember we cannot do them until Abhi gets his Facebook app approved. Facebook are not super fast when approving apps and often send back and have to be tweaked. So it’s a patience game but rest assured as soon as it gets approved and added to the web app then we will start to run these campaigns. I want to run them for my own business too.